As long as you're in sub-zero temperatures, you might as well enjoy it. 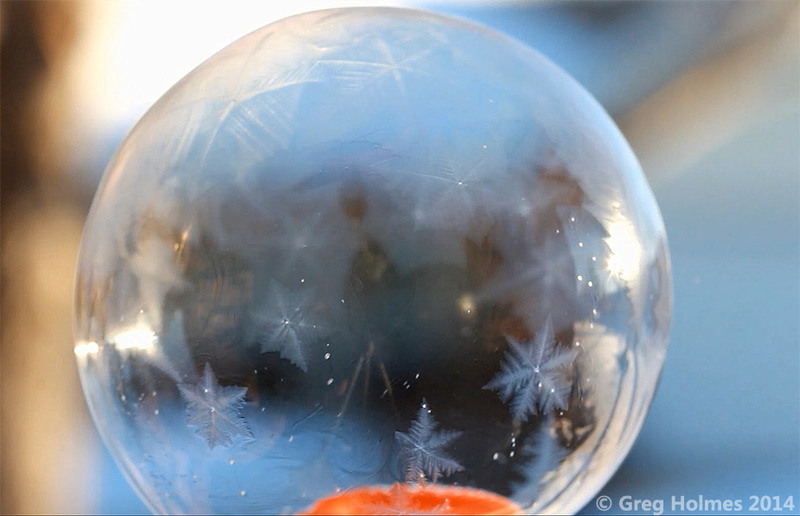 During the recent polar vortex I shot video and stills of frozen soap bubbles. 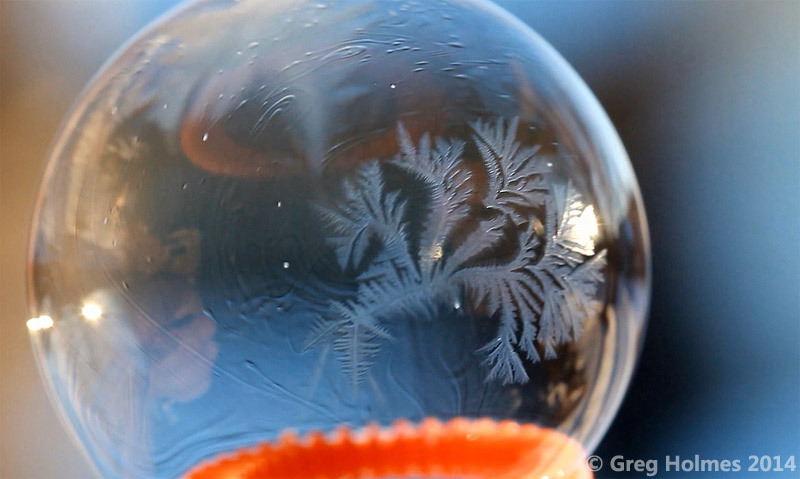 I was treated to the swirling snowflake pattern in the screen capture above. This is a composite of segments I shot between 8:23 a.m. and 9:24 a.m. on January 6, 2014, in Joplin, Missouri. 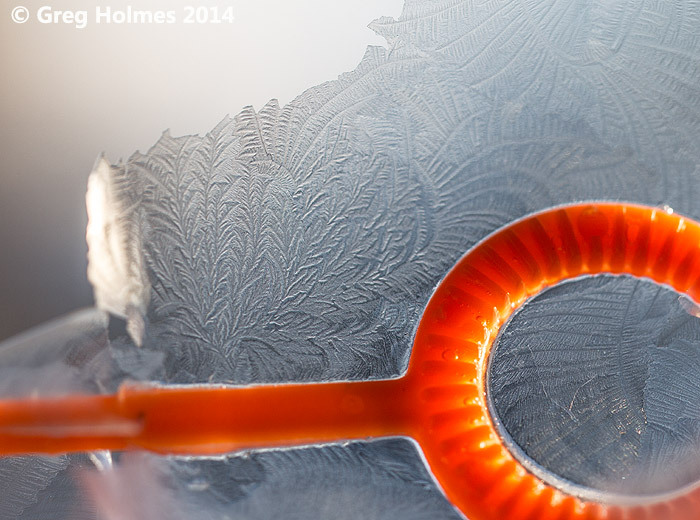 The temperature when I started was -11 °F; when I finished it had risen to -8 °F. I particularly enjoyed these fractals. This is one of the few stills I shot, concentrating instead on the video. 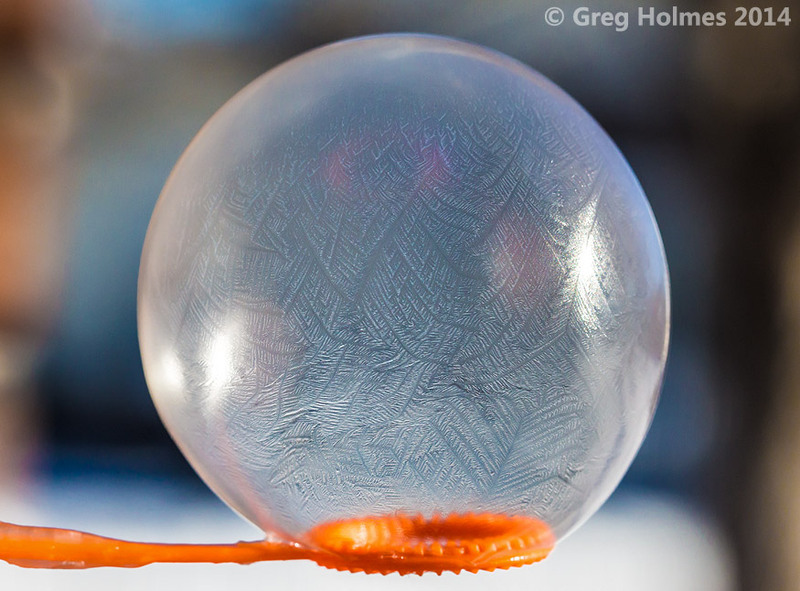 And this is a close-up of the crystalline structure of a broken bubble. Love all your work. The bubbles are outstanding. Check out http://patricktillett.blogspot.com/ for a giant Marilyn Monroe statue in Palm Springs CA. Celtic Tenors perform "Danny Boy"